Posted by Karen at 12:30 p.m.
And yet I still love the place. 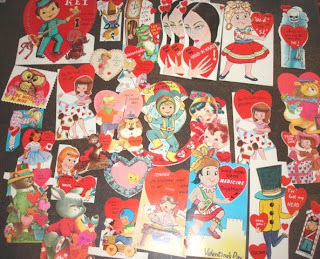 I remember when my mother used to buy me valentines to distribute in school and to my friends houses. What a mess there'd be with the glue...lol. 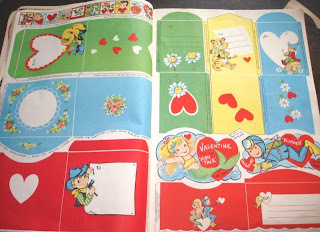 We use to wait until dark and sneak up to someone's house, put a valentine by the door, knock, and boot her off to hide. Never did get caught but I caught a few of my friends. Brings back a flood of memories, thanks.